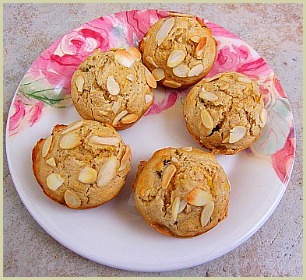 These delicious pumpkin cookies can be made with either canned or pre-cooked pumpkin. 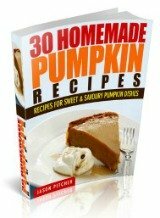 You can also use any variety of summer or winter squash. Note: If you were to use vegan margarine or similar substitute, these cookies are suitable for vegetarians and vegans. Place in your pre-heated oven and bake for 15 minutes until nice and golden. It's fairly difficult to get the canned stuff in the UK, so I always cook mine specially. Chop in half, remove the seeds before placing in a pre-heated oven 180°C (350°F) for 30-45 minutes, or until soft. Let cool and scoop out the soft flesh. Or again, chop in half remove the seeds and skin before cutting into 1 inch (3cm) chunks. Then steam or boil for 7-15 minutes, or until soft. Before you use it, a good idea is to mash or purée it first in a food processor or blender so it's smooth.